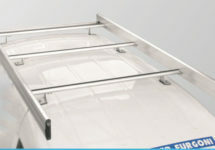 Roof rack module in galvanized steel for commercial and off-road vehicles. Compact and ergonomic design with a strong structure. Reinforced U-section profile with special design for more flexibility. Add and place tubes as needed! 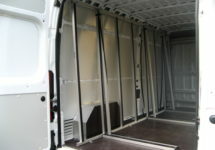 Easy fitting, adjust to the exact fixation points provided by the manufacturer. Rail-guarding welded to the U-section profiles for a more resistant structure.